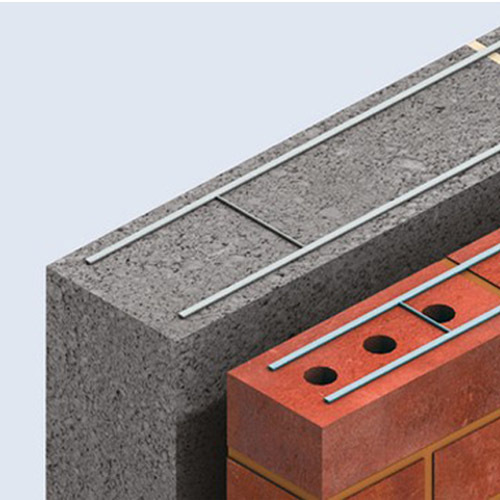 Brickforce - Mini Mesh | Eurometals Ltd.
Brickforce is a prefabricated wire reinforcement for masonry to be embedded in the horizontal bed joints. Its unique shape combined with its material properties increases the tensile strength of the masonary. Brickforce consists of two longitudinal wires which are welded to a continuous zig-zag cross wire to form a lattice truss configuration. The cross wire is welded to the sides of the longitudinal wires so that the overall thickness does not exceed the diameter of the longitudinal wires.The longitudinal wires are indented to improve the bond with the mortar. The steel used in the manufacture of Brickforce is either high tensile, in accordance with BS4482, or austenitic stainless steel, grade 304, in accordance with BS1970: Part 1: 1983. The characteristic tensile strength of both the high tensile and stainless steel wires is 500N/mM2. The shear resistance of each weld connecting the cross wire to the longitudinal wires is at least 2.5kN. Brickforce reinforcement is manufactured in various widths, shapes and finishes to suit the application. Round wire, for use with masonry with nominal 10mm thick mortar joints. 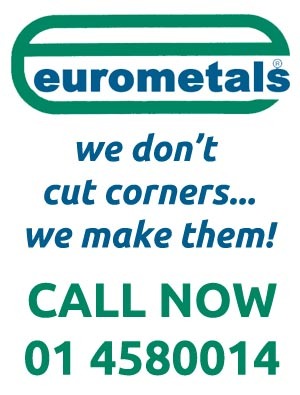 Flatwire, 1.5mm thick, for use with masonry with thin bed joints. Hot dipped galvanised wire (ref …./Z) with a zinc coating of at least 70g/M2, for masonry exposed to a dry environment. Epoxy-coated wire (ref …./E) with an epoxy coating of at least 100 microns on the standard galvanised wire to provide better protection. Stainless steel wire (ref …./S), for masonry exposed to dampness or an aggressive environment. Brickforce RND is manufactured in lengths of 3.05m and packed in bundles of 25 units. A standard pallet consists of 40 bundles of 25 units supported on battons. Brickforce EFS is manufactured in lengths of 3.05m and packed in bundles of 25 units. A standard pallet consists of 40 bundles of 25 units supported on battons. Stainless steel Brickforce (ref …./S) is manufactured in lengths of 3.05m and packed in bundles of 25 units, for all types.